finally it is time to share the latest news about Sownloader with all of you. 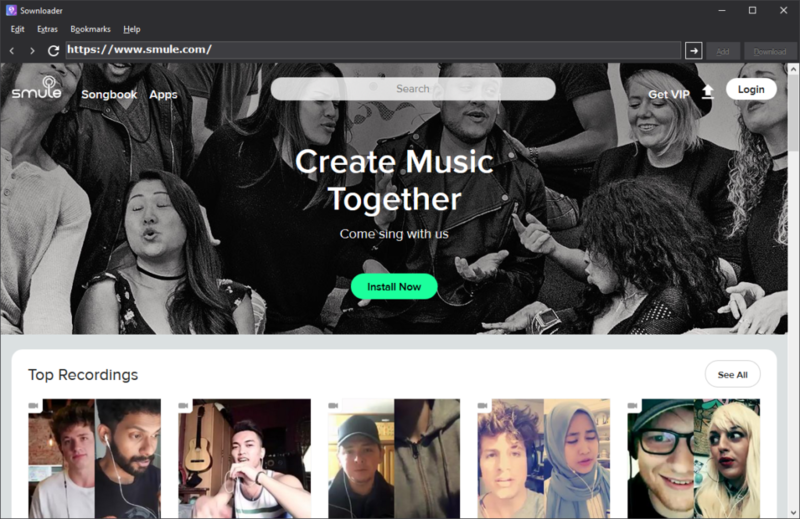 Since my last blog post I got an answer from Smule according to the issues with Internet Explorer (IE). Thanks for contacting us! We suggest trying other web browsers, such as Firefox or Google Chrome. […] We’ll bring it all up with the appropriate team. We can’t promise anything will come of it, however it will certainly be considered. So it is not impossible that this issue will get fixed in the future but it is definitely not on high priority. They suggested to use another browser instead of IE. That is exactly what I do in Sownloader 8! Honestly, who wants to use the IE? From now on Sownloader uses the great GeckoFX engine from Firefox! The dark theme looks just stunning. It is perfect to browse through your media at either day or night time. Moreover Sownloader is now completely resizeable! I decided to remove some stuff of Sownloader for a good reason. Setting to delete temporary files -> Sownloader will do this automatically now. Setting to set the current year as default ID3Tag -> Sownloader will do this automatically now. Instead of the old Supdater, Sownloader will now use an all new update mechanism which is much easier to handle. In addtion to this I am able to add more security for update files in the future much easier. Sownloader has been completely rewritten in C#. This means that there might be some bugs at some places. I will fix them as fast as possible if you inform me about the bug via email. You can download the latest version of Sownloader for free right here. + Added GeckoFX 45 Core to Sownloader -> Sownloader is not longer based on Internet Explorer, now it uses Firefox. – Removed setting to delete temporary files -> Sownloader will do this automatically now. – Removed setting to set the current year as default ID3Tag -> Sownloader will do this automatically now.